PARLIAMENT yesterday threatened to charge Mines minister Winston Chitando and new Mines secretary Onesmo Moyo with contempt of the august House if they failed to dissolve the Zimbabwe Consolidated Diamond Company (ZCDC) as recommended by the Norton MP Temba Mliswa-led committee last year. During the Eighth session of Parliament, the Mines committee produced a damning report which recommended the disbanding of ZCDC board as it was illegally constituted. Mliswa said Chitando and Moyo must implement the committee's recommendations or face contempt of Parliament charges. Moyo had appeared before the committee to give oral evidence on the 2019 budget when the committee bombarded him with questions over whether the Mines ministry had disbanded ZCDC. Mliswa challenged him to study Parliament's recommendations on ZCDC since he was new in office. He said it would be difficult for Parliament to recommend that a certain entity like ZCDC was illegal, but then it continues to appear before Parliament to give oral evidence when in fact it was illegal. "Parliament standing rules and order number 26 (a) stipulates that as required by section 107 (2) of the Constitution ministers must respond to matters raised by the committee within 10 sitting days and failure of which will constitute contempt of Parliament," Mliswa said. Committee members also queried why the Mines and Minerals Corporation of Zimbabwe (MMCZ) was operating without a board when it was a critical arm of the government. When Moyo said he was still new at the ministry, MPs said he should be kicked out of Parliament because they showed ignorance on several issues. Meanwhile, Chamber of Mines president Isaac Kwesu told the same committee that the new 2% tax on all transactions imposed by government will take nearly 60% off the profits of most mines. Kwesu, who was speaking on the 2019 budget, said the foreign currency challenges posed a major threat to the mining industry's viability and may push several smaller mines into closure. "The 2% tax on electronic transactions is of great concern because it is effected on transactions and we feel this is very steep and will take almost 60% of the chunk of the profit, specifically for small mines," Kwesu said. He pleaded that the tax be reviewed and charged on income rather than transactions as most mines relied on loans. 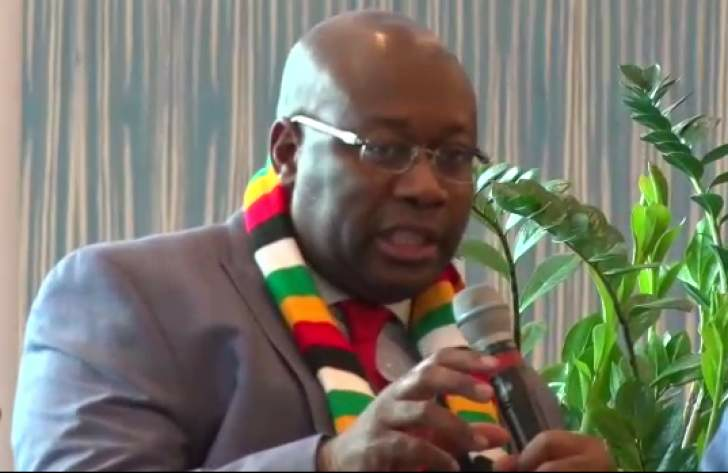 Kwesu said there were delays of over three weeks to get foreign currency while some suppliers of the industry's raw materials were also charging in foreign currency and rejecting RTGS. The Chamber of Mines president said the ideal situation will be that the foreign currency allocations be raised to 70% to 80%. Meanwhile, ministry secretary Moyo said the Finance ministry was working on a mining fiscal regime to holistically look at all taxes applicable to the mining industry to ensure it remains viable.